Lead, Mercury, and All Other Types of Drinking Water Contamination. Why should you invest in a water filter from Pure Water Systems? Because our water filters are more effective removing contaminants (including fluoride) than any other system, even the most costly distillers! Also because our water purifiers are designed to last decades, not months or years, and are backed by our limited lifetime warranty. Our unique multi-phase design* is much more than a typical reverse osmosis filter - we add another completely different and highly effective form of purification after reverse osmosis! Our systems combine the same technologies used to purify water for drug manufacturing — a process that demands absolute purity! All other water filters leave you exposed to some level of dangerous contaminants. We can't imagine anyone spending their money on a water filter or purifier that leaves ANY level of toxic compounds in the water! Would you buy a car, or ride in an airplane, that only got you part way to your destination? Never be concerned if your water filter will remove the next exotic chemical found in your water supply. Other brands selectively remove only certain contaminants, leaving you vulnerable. Our multi-phase water filters combine carbon adsorption, reverese osmosis, and deionization—ensuring complete removal of flouride, heavy metals, pharmaceuticals, industrial chemicals, herbicides, pesticides, as well as nitrates and bacteria, cyst, and virus. We've been selling water filter systems meeting BEV standards for over 20 years, and have evaluated dozens of approaches to creating pure, healthy, bio-compatible drinking water. Our research exposes a very serious problem: every other water filter on the market leaves you defenseless to one class of contamination or another. Only the correct combination of technologies can ensure absolute purity. In Seattle, it had long been known school water fountains contained unsafe levels of lead. In 2003 officials began a costly program of adding filters, replacing fountains, and in some instances completely replacing pipes. By October, '04, treatment was completed at 38 schools. Unfortunately, as noted in this Seattle Post-Intelligencer news story, the filters that were installed to remove lead have been found to be ineffective removing cadmium—another toxic heavy metal found to exist in dangerously high levels. UPDATE: May 1, 2005 -- It gets worse! In this Seattle Times article, the latest reports show ARSENIC at unsafe levels, prompting the school system to shut down the water system again. We attended the original 2003 meetings where the water problem was discussed. Of course, bureaucrats first want to commission expensive studies from consulting firms. And look at the result: water treatment (or lack thereof) that is incapable of coping with whatever new contaminant appears. We could have installed a BEV system on each floor of every school, assured the purity of the water today and in the future, and saved tax payers a lot of money. Don't make the same mistake! Be sure the water treatment system you choose is capable of removing ALL contaminants. carbon filters, using granular activated carbon (GAC) or a carbon block are great (if designed correctly) at removing a long list of organic contaminants and chlorine; can slightly reduce a few toxic heavy metals (mercury), but have no capacity at all to remove dissolved mineral salts (arsenic) or nitrates. gadget filters that attach to your faucet or fit in a pitcher typically use granular activated carbon or a small carbon block. These products are designed to improve taste, odor, and appearance. If you read the fine print you'll find their ability to reduce contaminant levels is minimal. typical reverse osmosis (RO) systems (if designed correctly) will reduce, but not completely eliminate, most heavy metals and dissolved salts. RO systems perform poorly when faced with fluoride, nitrates, and radioactive particles. Contaminant removal rates are listed under optimal laboratory conditions, but in real world installations performance can vary greatly. Budget systems from home improvement stores often show drastically reduced performance in as little as six months. distillers can be an excellent choice, but a high quality distiller, designed to last decades, is very costly. Cheap countertop distillers don't last, are a bother to keep clean, and leave you exposed to volatile organic chemicals that will distill right along with the water. Asbestos fibers, if present, can also end up in the distillate. Distillers produce water very slowly, require electricity, and generate a large amount of heat. alkaline water machines, the latest fad in drinking water treatment, typically have carbon filters smaller than the gadget filters mentioned above, and don't remove fluoride or heavy metals like lead, arsenic, asbestos, cadmium, and mercury. Or nitrates. ultra-violet Lights are added to many of the systems above to kill bacteria, cyst, and virus. But UV is a disinfectant only, not a filter. After those bugs are killed by the UV light, their carcasses and endotoxins remain. Do you really want to drink the remains of dead bacteria, cyst, and virus? Compare and the difference will be crystal clear—no other water filter or purifier can match our level of contaminant removal. Our systems are recognized to be the most thorough and effective home drinking water purifiers available. Our competitors often claim to "be the best." But only the PWS® BEV Series combines the same technology used to purify water for drug manufacturing or laboratory analysis—both of which require complete removal, not "reduction" of contaminants. drinking water meeting the BEV standards for purity and biocompatibility. Proper hydration is vital to good health, and water is the major medium through which our bodies eliminate toxins. The purity and biocompatibility of our drinking water is as important as the nutritional content of the food we eat. The National Institute of Health estimates our environment accounts for 50% of cancer risk. Contaminants in drinking water often act as allergens, and many confuse cellular mechanisms by mimicking hormones. 100% removal of contaminants is essential; partial reduction is not enough. While other brands boast of their ability to reduce contaminant levels, only the PWS® BEV-Series completely remove all contaminants. All that remains is sparkling fresh great tasting biocompatible water. 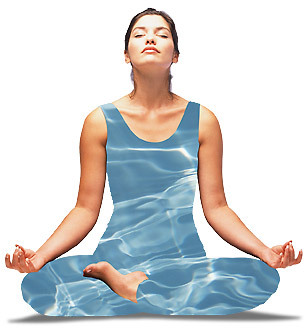 Pure water is the most important element in any detoxification program. Acting as solvent, transportant, and dispersant, ultra-pure BEV water encourages cells to release stored toxins for elimination via liver and kidneys. Many doctors are encouraging heavy metal detox programs to rid your body of accumulated toxins that poison cellular energy mechanisms, are associated with increased risk of cancer and heart disease, and which have strong suppressive effects on the immune system. (Remember Rachel Carson's book Silent Spring?) These detox programs are greatly enhanced when you consume large amounts of pure, biocompatible BEV drinking water; improving hydration and creating optimal conditions for health and wellness. It is proven that proper hydration greatly improves elimination; but what good is it to consume water that contains the very toxins you want to remove? Doesn't it make sense to drink water of the highest possible purity? An investment in a PWS® BEV system will continue to pay dividends for decades. With annual maintenance of ~ $110.00, your BEV system will pay for itself many times over while providing a superior level of purity. Compare the high cost of bottled or delivered water to 1¢ per glass for ultra-pure BEV water and you will quickly understand any system that can't ensure total contaminant removal is a costly compromise. You can, of course, find cheaper less effective systems, but ask yourself this question: Do you want a system that allows you and your family to continue to consume contaminants; or one that removes every contaminant to the very best possible capacity? Only Pure Water Systems offers the PWS® BEV-100 and PWS® BEV-300 systems; combining the most proven methods of water purification to produce 100% pure, BEV quality drinking water. The best warranty in the industry! Our systems are designed to last decades, not months or years. You can be certain that you've purchased the highest quality system available. We're so confident you'll fall in love with the fresh clean taste and convenience of BEV water, we also include a 30-day satisfaction guarantee. We welcome you to explore our site and learn more about the health benefits of ultra pure BEV quality water. We respect your intelligence and won't subject you to magical claims or mysterious pseudo-science. Sadly, there are a number of unscrupulous profiteers in this industry who will say just about anything to capture a sale. We pride ourselves on accurate, factual, and verifiable results, and we don’t use pseudo-scientific terms to describe our process. We test our systems continuously; we can describe the BEV standards, how they were developed, how they are tested, the kinds of instruments used, etc. We don’t try to hide, mislead, or mystify the process. We're confident once you've reviewed and compared our systems you will see the choice is obvious—only the PWS® BEV-Series are capable of removing all classes of contaminants. Isn't that what you expect from your water purification system? Our products are available nationwide through our growing list of qualified health care professionals (or direct via this web site). Ask your health care provider about the advantages of drinking ultra-pure, biocompatible BEV water. * Our unique multi-phase design includes a sediment pre-filter to remove dirt, sand, and scale; carbon adsorbtion for the removal of chlorine and organic contaminants and a patented reverse osmosis / deionization process followed by further carbon adsorption & membrane filtration to remove >99.999% of bacteria, cyst, and virus.